When it comes to oral hygiene in dogs, it is crucial to keep their teeth clean and gums healthy for their overall health and well being. However, pet parents face dental issues in their furry pals due to lack of proper understanding about the oral care in their pets. Brushing your dog’s teeth with dog toothpaste is an ideal way to keep their teeth clean but some dogs don’t like it and just run away when it comes to dental regime. Fortunately, there are other options that your dog might love and it will be easier for you to take care of their dental health. 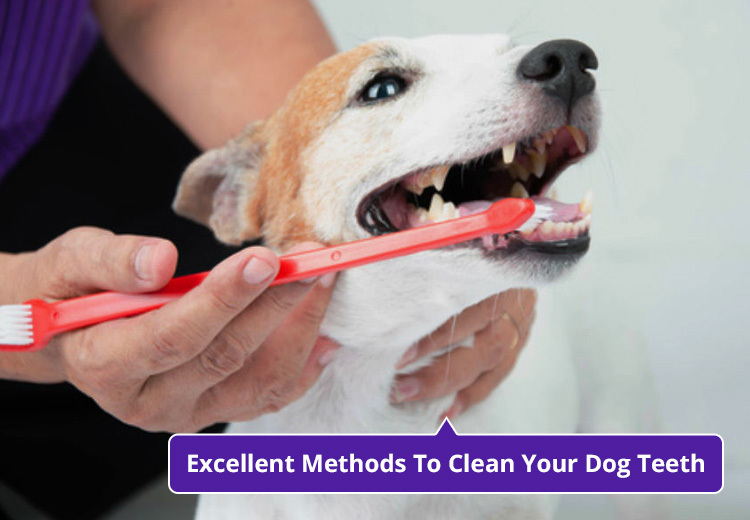 Here are six easy ways to clean your dog’s teeth that would enjoy. There are many synthetic bones and rubber toys available in pet stores. These are made especially to strengthen and clean dog teeth. Give your dog safe, soft toys. 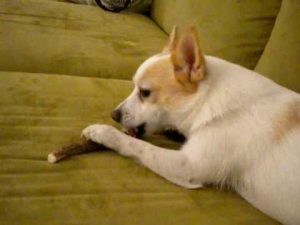 Give your dog such toys or bones, and chewing those things will not damage their mouth. Soft and soggy food sticks to dog teeth and causes decay. Instead of giving your dog such food, try to give crunchy kibble. The dry food will help prevent tartar build-up and strengthens the teeth of your dog’s teeth. Dental spray plays a crucial part in keeping your dog’s teeth clean. The dental spray prevents and protects against the oral problems like plaque and pyorrhea. Sprays are also helpful to stop bad breath in your dog. If you think that your dog is not tolerating brushing, then tooth wipes are ideal to clean their teeth. Cleaning dog teeth with wipes will remove plaque, tartar and bad breath bacteria. Chewing antlers massage the gum and remove plaque deposits. Moreover, many dogs like antlers. One antler can last many days for your dog. However, it is important while purchasing the antler. Look for naturally shed antler rather than picking velvet antler that are cut from live animals. Dental stick is something which can last longer than dental treat and less messy than a raw bone. These rough and tough chews help scrap tartar off of pet’s teeth. Your dog will love such chewing products. These dental sticks are made of high quality components having natural abrasive to clean the mouth. If your dog hates brushing then these are the simple ways to clean their teeth and prevent major dental problems. These ways are really helpful for those dogs that are prone to mouth diseases. There are plenty of other dental products available to keep your dog teeth and gums healthy. « How to Get Your Puppy in Walking Mode?